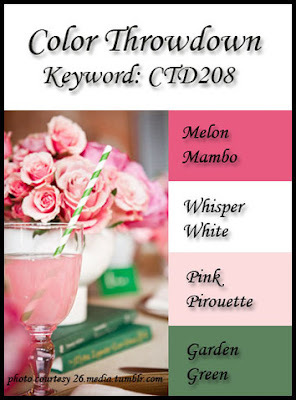 Color Throwdown #208 PLUS A Your Next Stamp Sneak Peek! Make sure you check out the Color Throwdown Blog to see more amazing samples from the DT and the Your Next Stamp Blog for more sneak peeks! I'll be back tomorrow for the YNS New Release Blog Hop! Have a wonderful Wednesday! Oh Kerri, this is darling! LOVE how you used the colors, and the little bracket borders at each end are perfect! I hope your daughter loves it! I'm really glad to have stumbled across this via the Color Throwdown blog. I love your bookmark and I'm always happy to see new reading-oriented stamps. I'll definitely be checking out Your Next Stamp tomorrow! Totally ADORABLE bookmark, Kerri! Perfect for a little girlie! 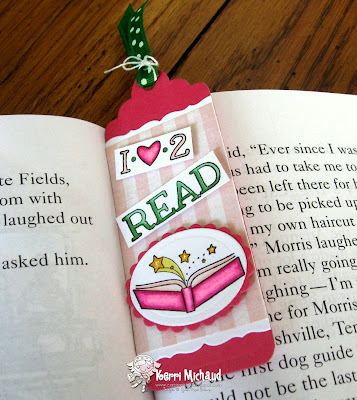 Love everything about this bookmark, Kerri! Great coloring and I love that striped patterned paper...so soft and pretty! Love the bookmark, Kerri! Great gift for your daughter! Such a sweet bookmark for your daughter Kerri! Love the touch of glitter on the stars! This is absolutely adorable, Kerri....I just love all the fun elements you added!!! Your DD is going to love this!!! !